Hartline Supply can meet all your electrical cable needs for underground mining. 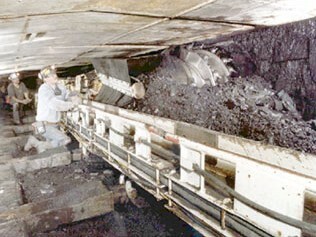 This picture shows a continuous miner. It is operated by remote control so the operator can stay away from the machine and the unsupported roof. This is a shuttle car. 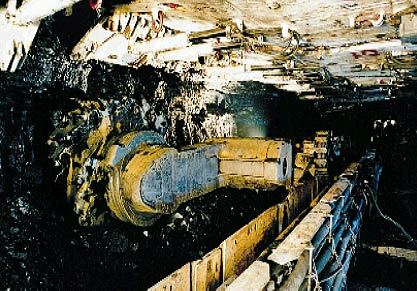 It is used to carry material from the continuous miner to the conveyor belt system, which carries the material to the surface of the underground mine. This is a roof bolter. 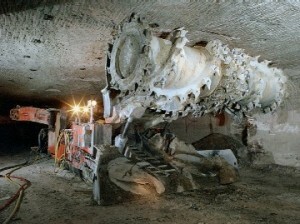 It is a machine that is used in an underground mine to install roof bolts. 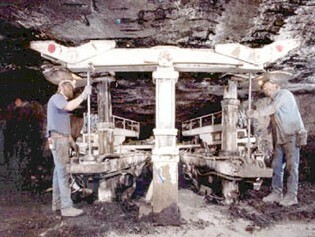 The bolts keep the mine safe by preventing the roof from caving in. It is a very important machine for underground mining. The picture on the left and the picture below show two different views of an underground operating longwall system. It is comprised of a shear that moves back and forth along a pan line that can be several hundred feet long. 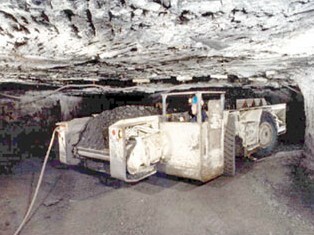 It can mine greater amounts of coal in less time.